For a TV mount that can do it all, look no further. 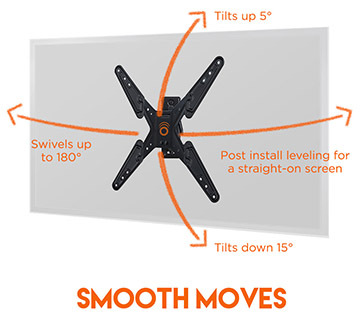 This single stud full motion TV mount can extend, swivel, and tilt effortlessly to get you the best picture. For TVs under 55" this is the best choice. 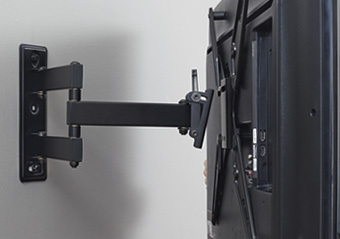 This heavy-gauge TV mount has high standards, holding 26" - 55" TVs weighing up to 60lbs. 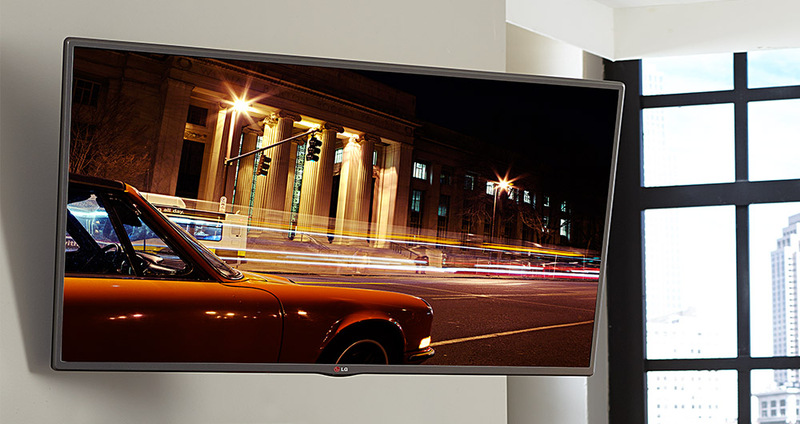 Pulling out to 20" and back in to 2.9" from the wall gives your TV smooth moves. Effortless 180° swiveling capability gives you the best view from any seat in the house. 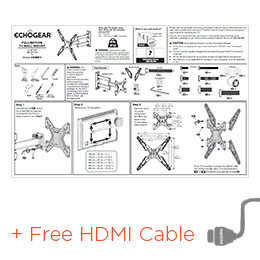 With a flexible design, our mounts are compatible with all TV brands, including Samsung, LG, Toshiba, and Vizio. 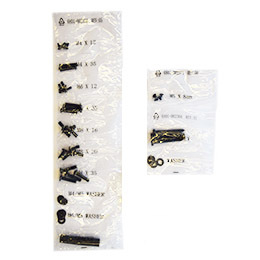 With easy 30 minute install on a single wood stud, we've got you covered with all hardware included and pre-divided. 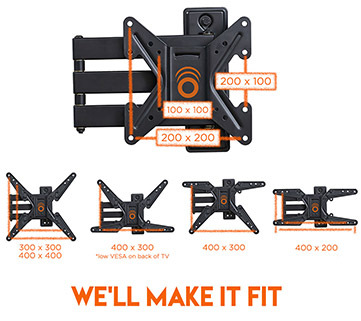 Don’t worry, we’ll do the heavy lifting: ECHOGEAR mounts are tested to hold 4 times the weight they're rated to. Full motion capabilities, on a single stud. For medium sized screens (26”-55”), mounting with a single stud full motion mount opens up a world of possibilities, choose your own adventure. If you are mounting your TV in a corner, this is the perfect solution. Every corner mounted TV isn’t equal. Sometimes your furniture is off to the side because you need space to reenact pro wrestling moves (STONE COLD STUNNER). That means your mount needs the extension and swivel to handle it. 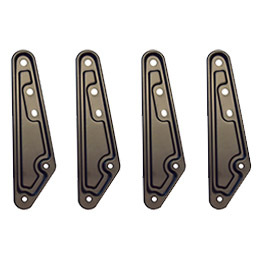 Medium full motion mounting brackets check both boxes. They can support large TVs and still have the maneuverability to sit exactly where you need the TV to be in the corner. With up to 20” of extension and 180º of swivel, this versatile mount is for more than just corner mounted TVs. Anywhere you want a TV up to 55” to go, this bracket can handle it. The single-stud install means you can get back to watching Westworld before your friends spoil it on Twitter. Our unpaid social-media intern Josh Theintern says this is his favorite mount because it looks like a ninja star. If that gets you excited, great, otherwise ignore him or throw some shade his way on Facebook. Anyways, another benefit of a single-stud mount is ease of install. This is definitely one DIY project someone can tackle on their own. We provide the instructions and mount, you provide the beer, and we’ll have a hot TV mounting date. But seriously, our US-based experts are available 7 days a week if you run into a snag. Have a TV larger than 55" that you still want to be able to swivel? Check out this bad boy. 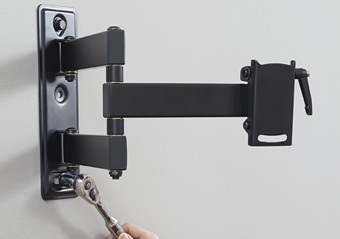 “Easy to install TV mount. And it's sturdy!”. -T.S. 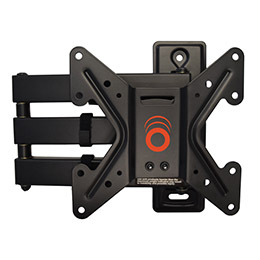 “Best darn articulating wall mount I have seen.” -Amazon Customer. 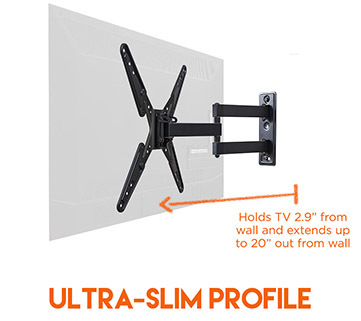 Click the button below to add the Full Motion TV Wall Mount for 26"-55" TVs to your wish list.